If you own a car with high mileage, then your engine is probably fairly worn at this point. There could be all kinds of issues building up in your engine. The biggest issue is gaps forming in between the engine’s components. In addition, gaskets and seals will begin to crack over time and cause oil to leak. Then you’ll have oil sludge building up within the engine which can cause all sorts of problems. Just because you heard that Honda and Toyota engines last forever, it doesn’t mean they’re immune to oil leaking issues. So, what can you do about this? Well, you can take preventive measures by using better motor oil in your engine. More specifically, it needs to be a special kind of motor oil that is made for high mileage vehicles. The oil will contain additives which can help older engines stay lubricated better and ensure that their seals are protected. Most importantly, the oil will reduce the chances of oil sludge buildup in the engine. As a result, your engine’s lifespan will be extended and you can get many more miles out of your car or truck. You’ll likely even notice a slight performance increase. How Many Miles is Considered High Mileage? Below are the top 5 engine oils for high mileage vehicles. Each one has their strengths and you should base your decision on your car’s mileage, normal driving conditions, and of course your budget. Mobile 1 High Mileage is a synthetic motor oil which is formulated to keep high mileage engines alive for as long as possible. The oil is more resistant to higher temperatures and has a less chance of causing leakage. Most engines have rubber seals which prevent oil from leaking. Over time, these seals tend to shrink, get brittle, and eventually break apart. Mobile 1 High Mileage Oil has a more seal conditioners within its formula to protect these seals in the engine and prevent them from breaking apart. Mobile Super is the “top tier” version of the Mobile 1 oil listed above. It’s formulated to protect your high mileage engine that’s subject to the toughest driving conditions including a lot of stop and go city driving. The oil helps the engine reduce its overall wear and protects it from oil sludge buildup with its seal conditioner solution. Most importantly, it reduces the amount of oil consumed by the engine which greatly helps extend its lifespan. A lot of car enthusiasts swear by Royal Purple HMX because it not only gives them protection against oil sludge buildup, but they can also go longer in between oil changes. Meanwhile, your engine’s performance will be enhanced and its lifespan will be extended. You’ll pay a little extra for this quality but for many high mileage cars and trucks, it’s worth it. Castrol GTX High Mileage motor oil is a blend of traditional motor oil and a series of special additives to make it more suitable for high mileage engines. With this oil in your engine, you will have fewer leaks, reduced oil sludge, and a longer life for your engine. Another great high mileage motor oil. Pennzoil High Mileage oil has additives to enhance the performance of the engine and to keep the rubber seals strong so they stay flexible instead of becoming brittle. A favorite of those with turbocharged engines, Pennzoil helps protect against LSPI (Low Speed Pre-Ignition). If a car engine has over 75,000 miles on it, then it is considered to be a high mileage engine. This is around the time when many people trade in their vehicle for a new one and then take on new car payments. 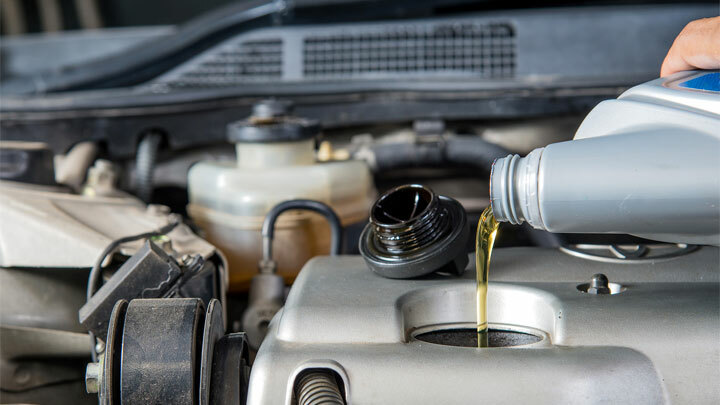 You can help keep your car’s engine in excellent condition by changing your car’s motor oil regularly with one of these high mileage motor oil products. Most car manufacturers recommend that you change your vehicle’s oil every 3,000 to 5,000 miles. Just follow whatever your car’s manufacturer recommends.